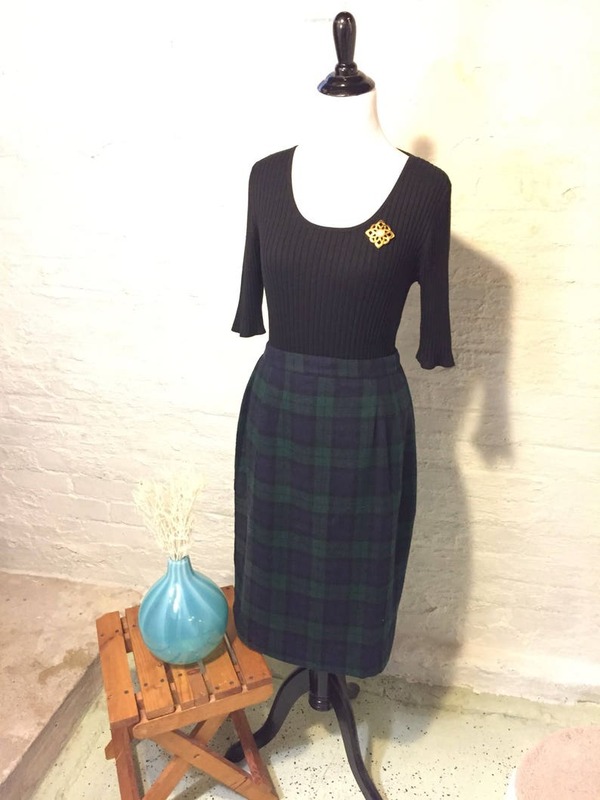 Green and blue wool plaid long pencil skirt with 8” split in back center. Christy Girl by Dori Adler, original tags still attached. Elastic waist band in back, with button and zipper closure.